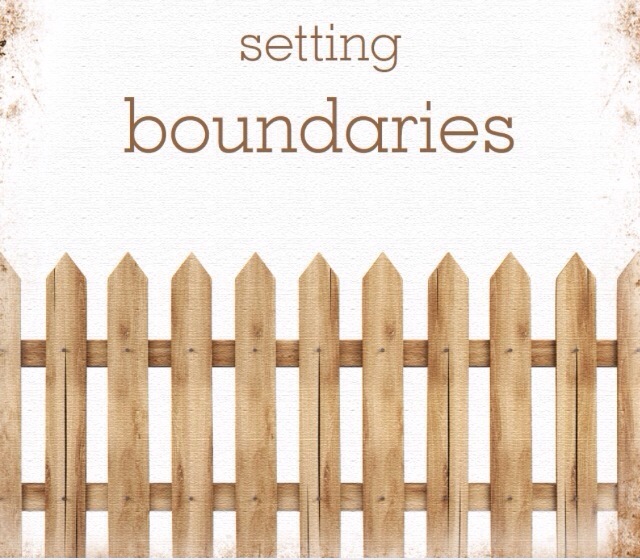 Boundaries are important because they set limits. Too often times many of us find ourselves stressed out simply because we don’t have any clearly established boundaries in our life. There are limits and boundaries in every part of our lives even if we fail to recognize them or acknowledge them. There’s order and structure in Heaven and even the kingdom of darkness has an order and rank that’s followed. Home, church, work, school, etc all have limits and rules to some extent. For some reason though, people seem to have the hardest time when it comes to developing personal boundaries. Some folks have no idea how to respect them and that’s not entirely their fault because many people don’t even know how to have them so the “norm” in most cases is for people to actually feel a false sense of entitlement to do or say whatever they want. Have you ever said no and then been asked a million questions as to why you said no, then felt obligated to talk more? We have got to learn an internal system of healthy limit setting. Self-preservation is not selfish and you don’t owe everyone an explanation. This isn’t a free pass to be disrespectful or obnoxious but you can say no and own your no. It’s up to you to decide what you are willing to commit to, tolerate, and even the way you allow other people to communicate with you and treat you. I make it a point to speak to everyone with respect. It doesn’t always mean I’m going to tell them something they desire to hear, but I will speak in a respectful manner and if they’re not going to speak to me in the same manner then we won’t speak until that can happen. It is so important we understand our worth because once we truly understand our worth, we will have a much easier time protecting it.